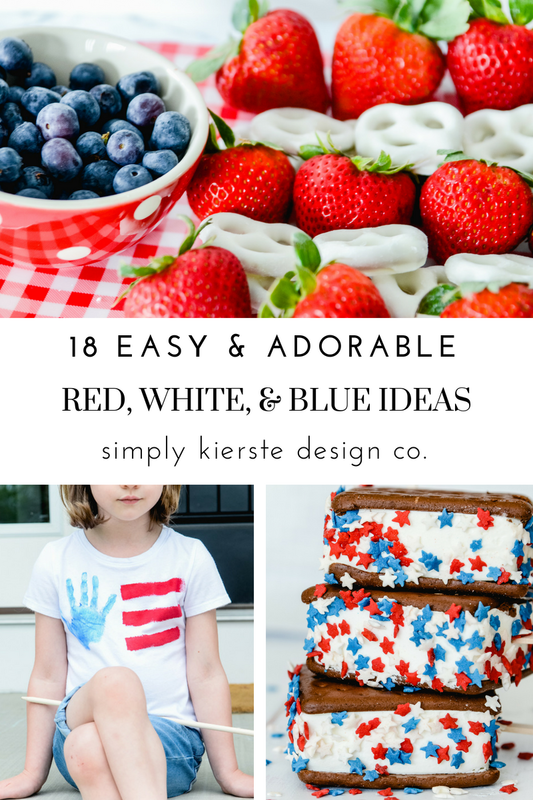 18 Easy & Adorable Red, White, & Blue Ideas | 4th of July Fun! How I love every patriotic holiday! They are my favorite, and I absolutely adore celebrating them in every way, including decor, yummy food, cute things for my kids to wear…all of it! I’m also into simple, and my favorite projects are those that don’t take a lot of time, but look like they did. 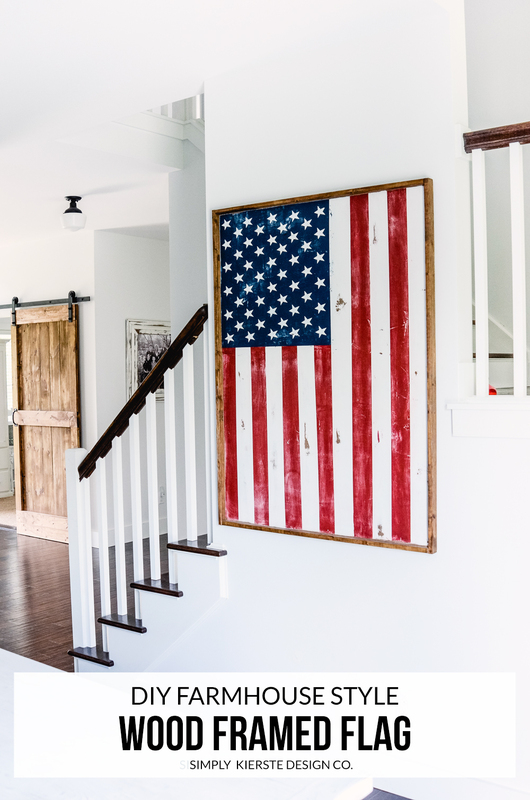 I’ve gathered my most favorite red, white, & blue ideas that I’ve posted over the years and put them all in one spot, just for you! They’re perfect for all the patriotic holidays over the next couple of months, starting with Memorial Day, then Flag Day, and Independence Day. 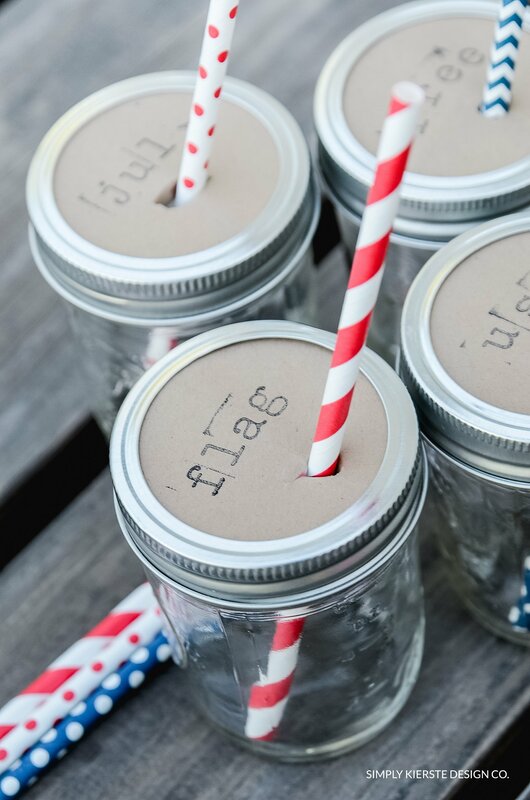 EASY & ADORABLE RED, WHITE, & BLUE IDEAS! 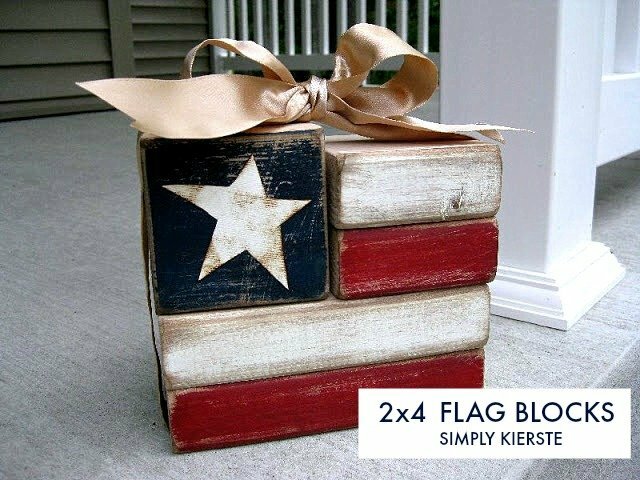 One of my FAVORITE red, white & blue projects ever! I keep this in my dining room all year long, but I especially love it during the summer months. 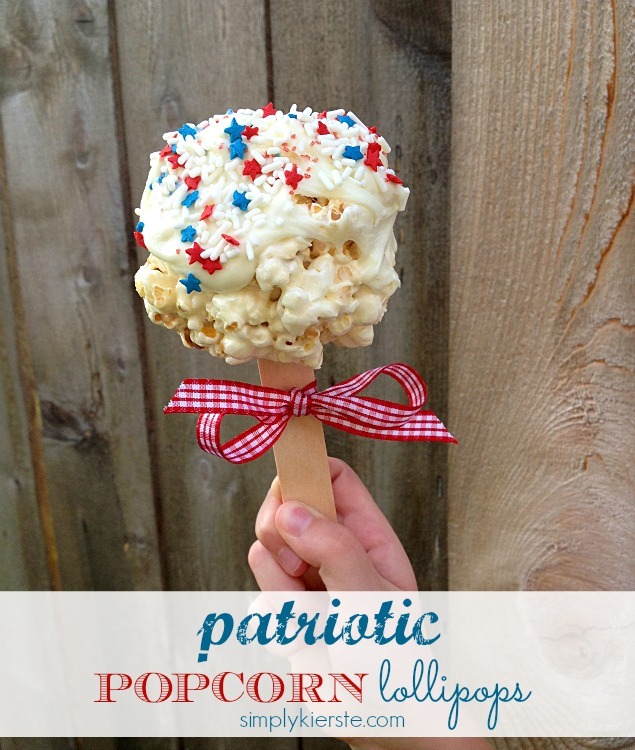 I LOVE these, and they’re perfect for all of your 4th of July entertaining! 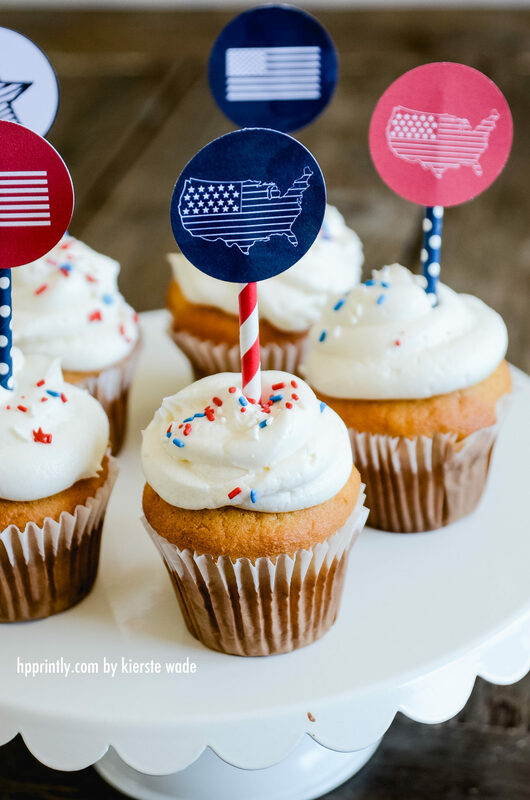 Just print, cut and add to your favorite cupcakes for a super easy 4th of July and red, white & blue treat! 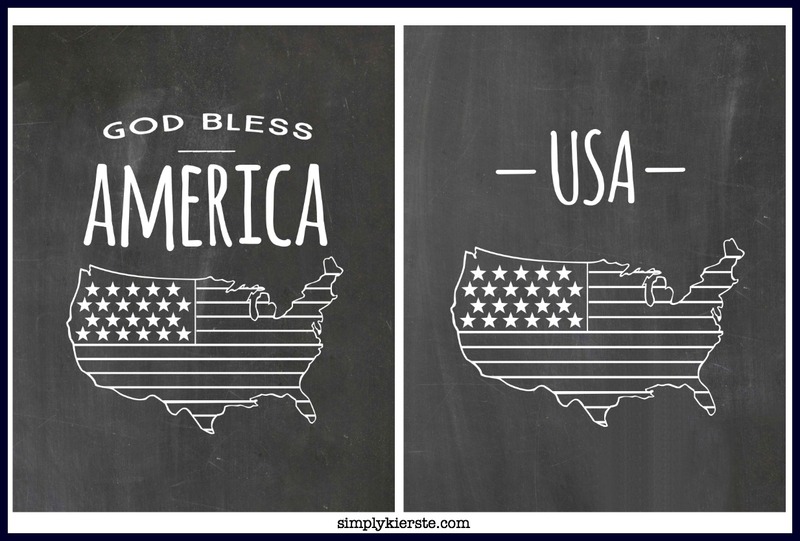 These are fun to print and use as patriotic decor, or even centerpieces at a party! 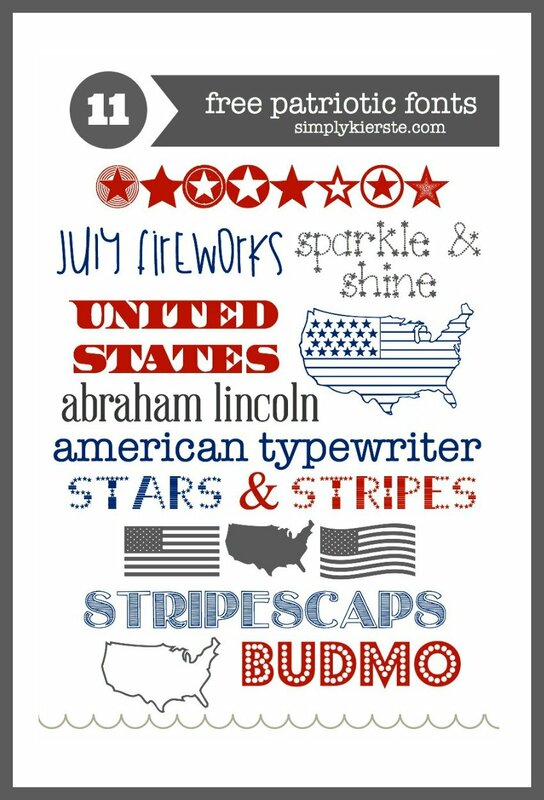 I’m a huge font fan, and use them for so many holiday projects, and these patriotic fonts are some of my favorites!! One of my my favorite projects–perfect for a porch, mantel, or as party decor! Burlap is just one of those fabrics that’s hard to resist! 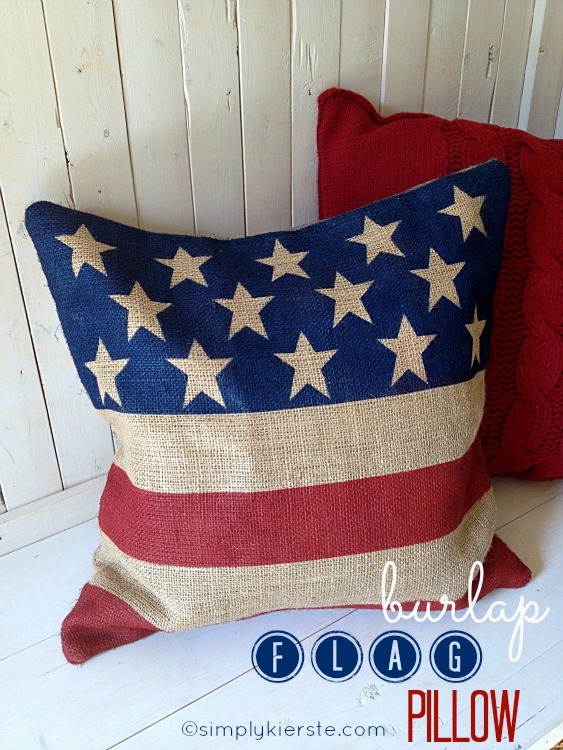 I added stars & stripes to a burlap slipcover to make a darling pillow perfect for my couch, entry bench, or even guest bed! Oh, buntings. I’m totally and completely in love with them, and hang them for every holiday! 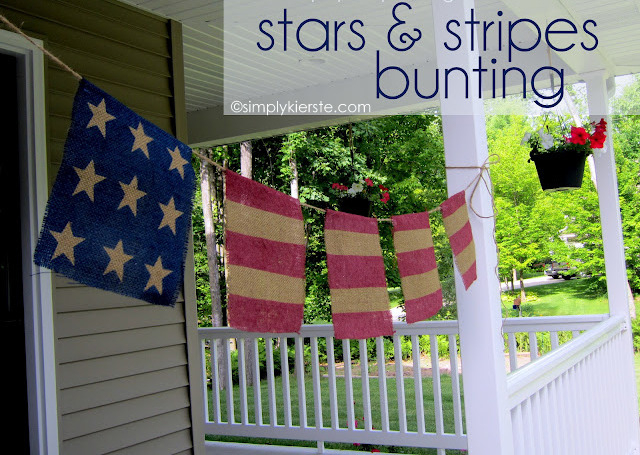 This super cute bunting is so easy, and perfect to go across a front porch, mantel, window, or doorway! These are just SO fun and yummy! 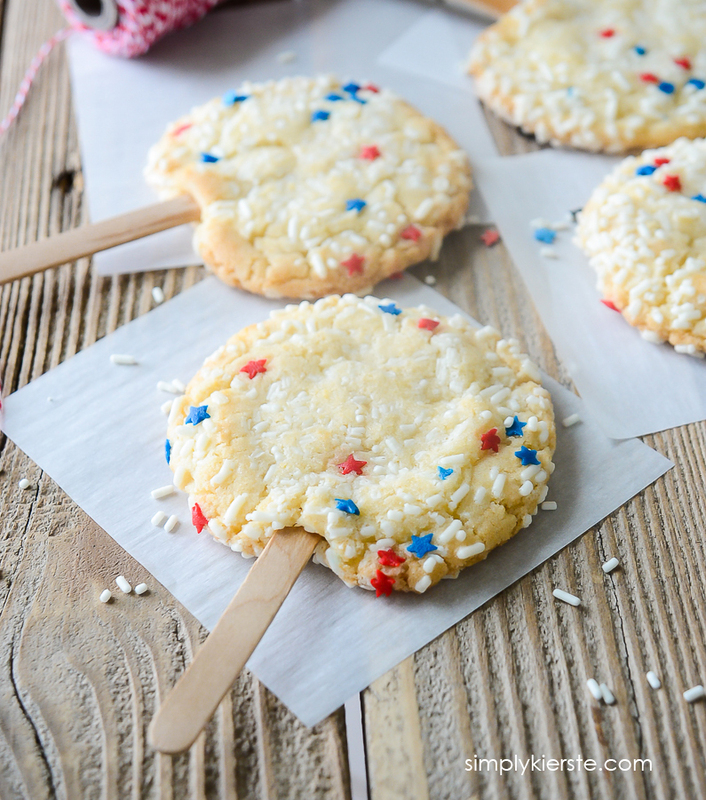 Perfect for any patriotic holiday, kids love to help make them and eat them. You can also change up the sprinkles and make them for any holiday or birthday! I made these years ago, and they’re still a favorite! 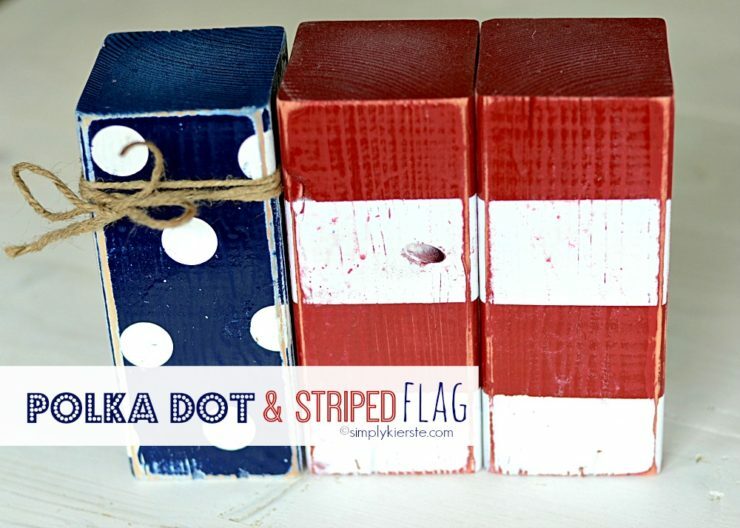 I used 2×4’s to create a simple but adorable flag, and they look so cute on a shelf, counter, table, or mantel! I love dressing my kids up in red, white and blue on patriotic holidays, and often times I’ll just grab stuff from their closets we already have. 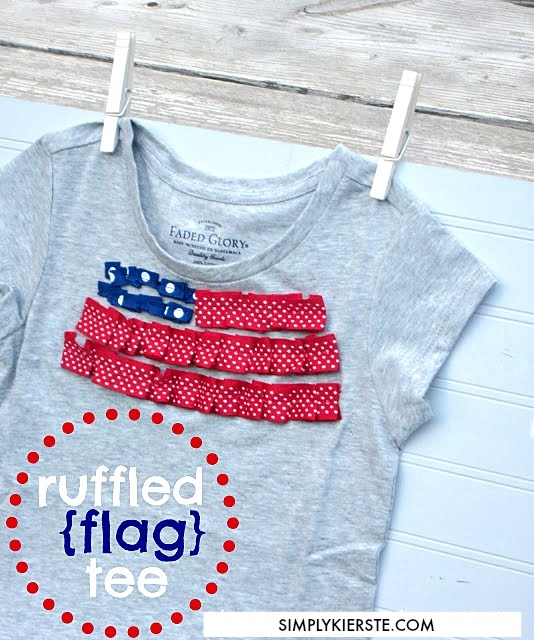 Sometimes though, I like to make something cute, and these darling ruffled ribbon flag tees were SO easy and quick! They look cute all year round! And if you’re thinking you can’t sew, so you can’t do this project, don’t worry–if I can do this, you can too! Oh my. There’s not much I love more than frosted sugar cookies, but I always love the frosting the best. These super cute cookie cups are a way to get more frosting. :) They’re easy, especially when you use my favorite sugar cookie mix, and always look darling on a plate. Perfect to serve at any BBQ or party! I hope you’re inspired, and found something you can’t wait to make! Happy Summer! I don’t even know where to start! These are all great projects! I’m working on getting more mileage out of my patriotic decorations by displaying them on Memorial Day Weekend and July 4th. I’m sure this is not a new idea to you or many of your readers, but it was new to me – – and makes your timing these awesome projects just perfect! Thanks!